Good bye finance.google.com, welcome stock.ly. 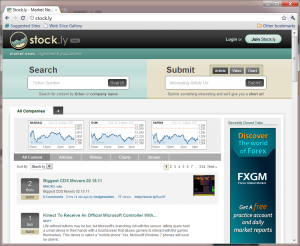 Stock.ly helps our users find the most relevant, timely, and focused financial content in real time. Stock.ly is the most powerful real time information hub ever created! Stock.ly, at its core is powered by it’s users. Whether they are seasoned hedge fund managers, to the new trader, everyone has an equal voice. How is this accomplished in real time? 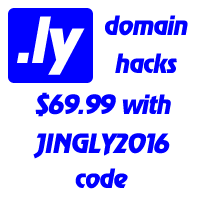 Everything on stock.ly is submitted by our community, that includes you. Content on Stock.ly is viewed and bull’d or bear’d by the community. The cream rises to the top and the best content is seen by the most amount of users. If the story you submitted is very valuable to the community, it could end up on the front page and millions of potential visitors could see it. This aspect is really great for all of you bloggers, writers, vloggers, and any other content producers. You work really hard on your content and if it is awesome, it will rise to the top on stock.ly and we will reward your great work with hits. What would stock.ly be if you can find real time financial information, but can’t share it? Stock.ly is also a url shortener and every piece of info you submit, a corresponding shortened stock.ly url is given. This allows for easy and seamless distribution across multiple social media platforms. Stock.ly is fully integrated with Twitter and content submissions can be shared easily with your followers. Content submissions are also posted into the stock.ly stream and on your friends feed. This allows your followers and friends to find the information you submitted, comments you made, items you have bull’d or bear’d, and your updates.